At one time most of Europe was covered in Forests and as such this was home for a large number of animals, birds, plants, etc. Even though the amount of land covered by forests have got a lot smaller over the years, Woods and forests are great habitat. Indeed, one of my favourite places to visit and photograph wildlife is the Boreal Forests of Scandinavia. 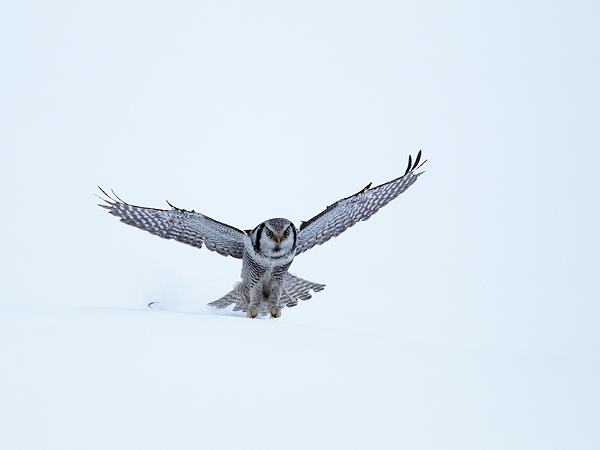 The Hawk Owl is a reasonably common bird across Northern Europe and can be seen in the Taiga forests of Scandinavia. This image was taken near Kuusamo in Finland.